We're WordPress Web Design Experts! Regardless of experience level, WordPress Web Design makes maintaining your content a breeze! WordPress has quickly become the number one choice for Content Management Systems among both advanced developers and beginners alike. Even if you’re a novice user, you’re no longer limited to only making changes to text. With WordPress Web Design, you can also easily add and remove images along with a myriad of other user-friendly functions. WordPress allows the non-web developer to be actively involved in all facets of their website content management. Easily creating exceptionally functional websites and blogs is what WordPress is for. Don’t be alarmed at the cost of WordPress – FREE doesn’t mean that you are in any way limiting the scope of your project! Over twenty-five million websites are being powered by WordPress today, making it the largest collaboration of developers providing the latest and greatest in open source web development tools on the planet. This also easily makes it the most profitable CMS (Content Management System) available on the market – bar none! When ranking searches, Google looks for websites that are mobile-friendly. Not only does this benefit your search engine ranking on Google, but also allows you to see your website beautifully on all mobile devices. All WordPress Web Design sites are mobile friendly. Speak With a WordPress Web Design Expert! We’re ready to assist you with all of your WordPress needs! Call us to discuss your next design project! The key component of WordPress Web Design software is the large, open-source community thousands of developers strong. These WordPress community developers have created a plethora of custom plugins and themes that will transform your own WordPress site into just about any conceivable form! 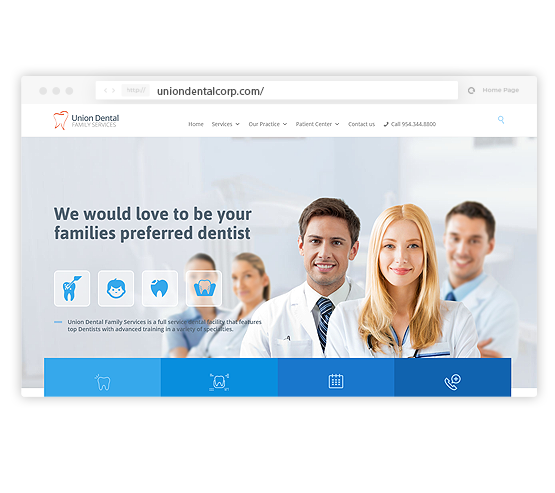 Ultraweb Marketing WordPress themes are fully responsive, mobile-friendly and customizable. These custom WordPress themes will automatically render to all mobile devices such as Androids, iPhones and iPads. Find out more about Custom WordPress Website Design. Responsive web design (referred to as RWD) is a web design approach that provides optimal viewing across the widest range of devices. One website with RWD website is all you need to work on any platform – desktop computer monitors, tablets, and mobile phones. The amount of money saved in developing just one site that renders perfectly on all platforms allows you concentrate on other marketing platforms, like organic SEO (Search Engine Optimization), PPC (Pay Per Click), or Social Media. This also greatly minimizes monthly upkeep and maintenance costs. Results are of the utmost importance at UltraWeb Marketing. In-depth Analytic reporting will let you track your investments down to the cost per conversion for your WordPress Web Design. Because we use WordPress, your web design project will have the most advanced technology with a major emphasis on security. Our WordPress Developers can custom code many highly functional options without compromising on website performance. Rest assured knowing that your WordPress website is completely secure! All of our WordPress developers stay on top of the latest SEO (Search Engine Optimization) trends. 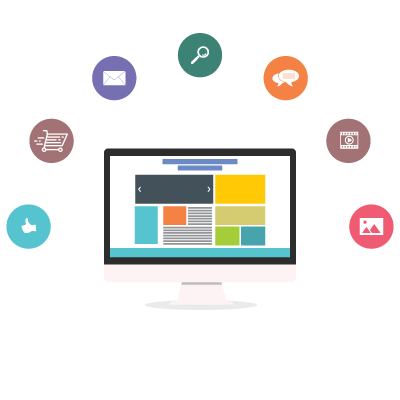 From the initial groundbreaking of your web project, UltraWeb Marketing targets all of your industry’s relevant keywords. This ensures that your WordPress web design will rank much higher in the different Search Engines. One of the best aspects of WordPress Web Design is the ability to update or customize your content. There are many user-friendly widgets that allow full control of all aspects of your website. With such a large open-source community, WordPress continually adapts to the latest web trends to meet the demands of the users. At UltraWeb Marketing, we build and customizes all of our themes with HTML5 with a major emphasis on RWD (Responsive Web Design) techniques. This ensures your WordPress website will react and display appropriately on all devices across the board. Extremely fast and flexible on Android, Apple, Desktop, Laptop, Smart Devices and Monitors of all sizes. Give us a call and a web & marketing expert will assist you!